Gooley’s more than two decades of pioneering outdoor experience include research among the Dayak people of Borneo and the Tuareg of the Sahara. With his first book, The Natural Navigator, he started a renaissance in the rare art of reading nature’s clues. 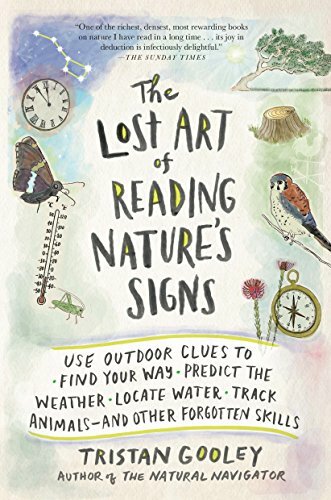 Now, in The Lost Art of Reading Nature’s Signs, Gooley has compiled more than 850 outdoor tips—many not found in any other book in the world—that will open readers’ eyes to nature’s hidden logic. He shares techniques for forecasting and tracking, and for walking in the country or city, along the coast, and by night. This is the ultimate resource on what the land, sun, moon, stars, plants, animals, and clouds can reveal—if you only know how to look!